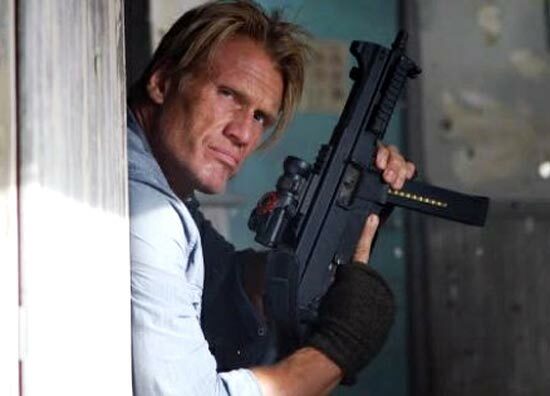 We first saw Swedish actor Dolph Lundgren in a bit role as a small-time Bond villain in A View To A Kill, but since then he's done it all, battling everyone from Rocky Balboa in Rocky IV to Skeletor when he was He-Man in Masters Of The Universe. 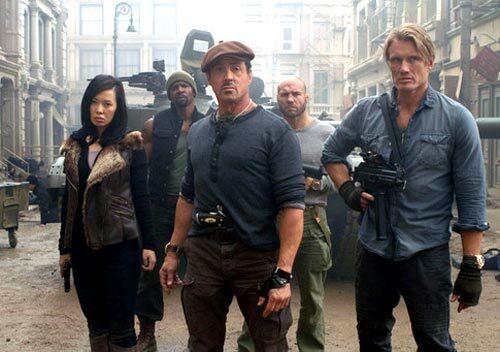 The Expendables is a pretty crazy project with some seriously larger-than-life characters. In that bunch, your Gunnar Jensen adds to the chaos by being mentally unhinged. What has been your approach to the character and how much of your performance is improvised on the sets? Gunnar Jensen, the crazy Swede. He's sorted his act, and he's not quite as mad. He still goes off the hook once in a while, and does funny things, you know. And we find out that before he went over to the dark side, he was a chemical engineer. Later in the movie, he tries to use his engineering skills to get him out of this tough situation. With mixed success, I must say. Most of us first met you as Ivan Drago in Rocky IV. Now, working with Stallone in these films, how much do you think he has changed as an actor and performer? Do you guys ever arm-wrestle? We have both changed! We're older! The film industry has changed. I think now I'm close to Stallone in a way. We're friends now. At that time, he was just my boss and I was a little scared of him. Now, he's still my boss but in a different way. 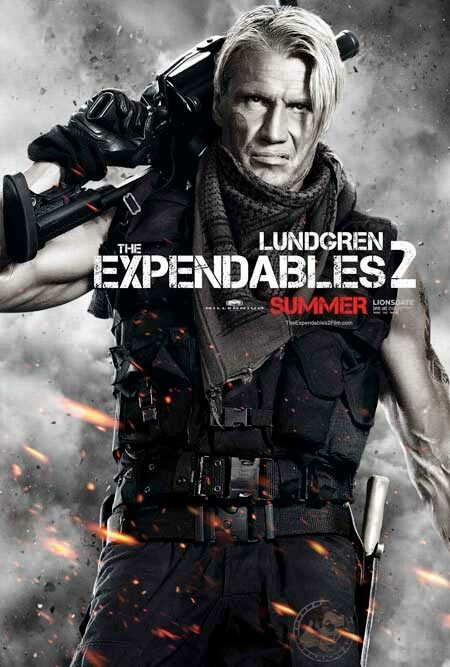 Which brings me to the entire Expendables cast. It's big and it's growing bigger. From this insane roster of action heroes, who do you personally look at as influences? It has to be Sly. He's got that sort of inborn instinct where most people wouldn't go for that. He thinks in a different league. That's kind of why he is who he is. That's why he has a special talent. It has been stated that you have an IQ of 160, something you have said is exaggerated. Where do you think this started, and how comfortable are you with the perception of you as the most intelligent of the action heroes? Well, it's quite the opposite actually. I think if you're a tall blond, woman or man, you tend to be underestimated. Especially if you run around with machine guns! But honestly, I feel it's nice to have something to surprise people with. With all these heavyweight names on the sets, is there a lot of macho posturing? Or have all of you mellowed now that you aren't really competing with each other? Well, on set, you've got all the guys in one room together, and most of them are used to being the star in their movies. We are a team -- me and Stallone and Jason Statham and Jet Li and the rest. But I can see when Arnold and Bruce show up, and Chuck Norris, they're not used to this, getting suited up along with other guys who are stars in their own right. It's kind of interesting to watch. Finally, if you could choose any actor of all-time, past or present, to be a part of a film like The Expendables, who would you add to the mix?